There are memories that stay in the mind. These memories raise our awareness and help us discover the essence of our humanity and acknowledge the existence of a higher being. Adel Hariz essays these varied shadows from the heart in his book, Stick from Every Valley. 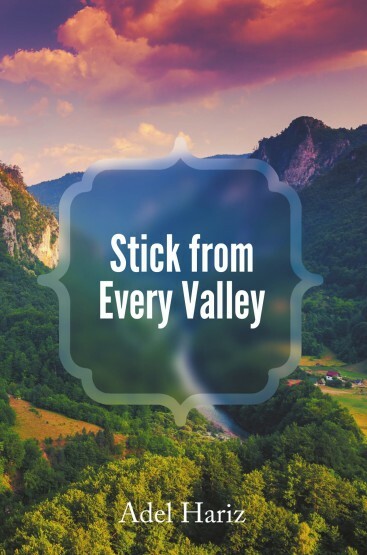 Hariz proposes that to better appreciate the peak of life, one must look at the valleys. He shares the valleys of his life in his collection of reflective expositions on philosophy, romance, poetry, and even on the Middle East war. He aims to show the significance of being in the valley—in striving to survive, in being cut off from one’s roots, in sustaining a business while pursuing a professional career, and upon reaching the top. Book copies are available at LitFire, Amazon, Barnes and Noble, and other online book retailers. Adel Hariz was born as the second of four boys on November 15, 1957, in Zahle, Lebanon. He was reared by an abusive father, who passed away in 1970. His family immigrated to America in 1979, four years after the war started in Lebanon. Upon arrival, he started working in the real estate business and pursued his engineering degree. He found the inspiration to write upon reading the Bible in 2005 while working as semiconductor engineer and in real estate. More information about the author and his work is available at www.adelhariz.com.